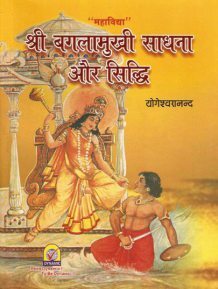 The recitation of baglamukhi pratyangira kavach (armor) can stall even the wind, enemies get destroyed. Baglamukhi Pratyangira kavach can bring any attempt of the enemy to a still. 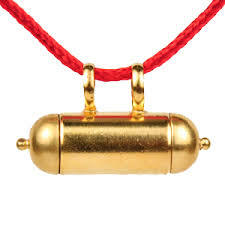 This kavacham destroys all the enemies, ends all sorrows & sins, mitigates the ill-effects of the planetary positions in horoscope, protects the devotees and bestows wealth, kingdom (fame) & fortune. This kavacham is like a wish-fulfilling tree to the devotee who chants this kavacham three times a day or at least once daily with concentration, there is nothing unattainable for him. Any person, who is touched by the devotee or even glanced by him, becomes a slave to the devotee. For Baglamukhi Mantra Diksha, Astrology & Sadhana guidance email to shaktisadhna@yahoo.com or call us on 9410030994, 9540674788. 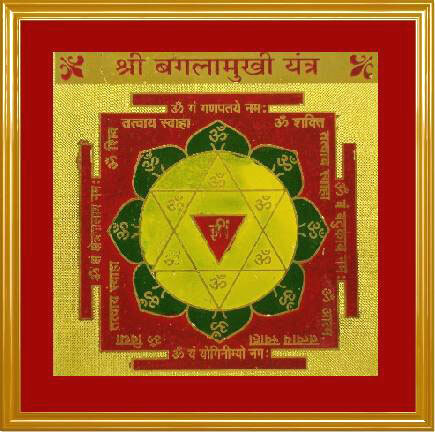 This kavach protects from bhoot pret badha (evil spirits or ghost). This amour destroys even the most invincible spells cast by enemies. But, this should be chanted only after obtaining the deeksha and initiation from a preceptor (Guru). For Baglamukhi Mantra Diksha & sadhana guidance email to shaktisadhna@yahoo.com or call us on 9540674788. Baglamukhi Shodashopchar Pujan is done to appease Ma Pitambara ( Baglamukhi ). By blessings of ma baglamukhi one can get rid of false court cases, any type of black magic, critical health issues etc. To do baglamukhi chalisa one should first take bath and purify himself. Wear yellow clothes and sit on Yellow Asana (matt). Lit a mustard oil lamp. First do meditation of your Guru, Ganesh Ji, Bhairav Ji & then do meditation of Ma Baglamukhi. Offer yellow flowers in lotus feet of devi baglamukhi . Offer yellow prasaad like Almond, Raisins etc. After this chant baglamukhi chalisa with full devotion. Benefits of Baglamukhi Puja & Baglamukhi Chalisa : Mother Baglamukhi is that cosmic energy, which helps a person to conquer all his negative traits and raise his consciousness to higher levels by destroying his false ego and his diseases, sorrows and enemies. Only when a person escapes these negative influences can become determined, resolute and intelligent and go on to become a perfect human being. Any one can recite the below given Baglamukhi Chalisa at the time of Puja. To appease the mother one should wear yellow clothes. Baglamukhi Sadhak should offer yellow flowers onto the lotus feet of mother. Baglamukhi aarti is done at the end of baglamukhi puja everyday. For more information on Baglamukhi Puja please write us shaktisadhna@yahoo.com or call us on 9540674788. What articles (pooja samagri) required for this. Turmeric rosary (haldi mala) of 108 beads to chant this mantra. 1 photo of devi baglamukhi or energized statue. 7. Meditate on Ma Baglamukhi photo and in your mind offer flowers in her lotus feet. If physical yellow flowers are available then offer flowers. 10. At the end offer all your pooja to ma baglamukhi saying that Ma please accept my pooja (prayers). 1. You have to chant the mantra everyday in constant numbers. For example if you have decided to chant 1250 rosary in 40 days then you need to do 32 rosary (malas) everyday. If you don’t chant the mantra on any single day then you will have to start from the beginning. 2. You should avoid alcohol and non vegetarian food in these days. 3. While doing sadhana you should also maintain celibacy. Question 1 : I want to start ma baglamukhi sadhana but i don’t know how to start? Answer : First step of ma baglamukhi sadhana is diksha. In diksha guru initiate you with this mahavidya and teaches you all the secrets. Guru gives you a mantra which you need to chant as per his guidelines. Question 2 : What articles (samagri) is required in baglamukhi sadhana? Answer : You need a Haldi Mala (Turmeric Rosary ) of 108 beads, Pranaprathistit Energized Baglamukhi Yantra, Pranaprathistit Energized Baglamukhi Statue Moorti, Yellow Matt (Asana) and Yellow clothes. Question 3 : I am married person. Can i do ma baglamukhi mantra sadhana and pooja? Answer : Yes, you can do baglamukhi mantra jaap and sadhana. Here i must clear that everyone is eligible to do this sadhana. It helps you in every phase of life. Question 4 : Can i do baglamukhi mantra jaap and puja at home or is it compulsory to go to temple? Answer : Yes you can do this pooja at home. Question 5 : How much time do i need to spend everyday in baglamukhi pooja? Answer : It depends on circumstances. If you doing any anusthan in which you need to complete certain number of mantras in fixed days then you may have to sit for long hours. To explain it i am giving you example here. If you determined to do 1250 Malas of beej mantra of devi baglamukhi in 21 days then you need to do 60 malas everyday to complete this anusthaan. which means you have to sit minimum 2 hours everyday. Suppose you are not doing any anusthaan then as per your time availability. Question 6 : Is baglamukhi sadhana dangerous ? Answer : It is complete myth. Some people on the internet and books have spread this rumor that baglamukhi sadhana (puja) is dangerous and if someone will commit any mistake then Ma baglamukhi will punish him. It is complete myth and ignore it. It was spread by those people who have not chanted even single mantra of devi. Please beware of these people and do this sadhana without any fear. Question 7 : What is the best time to start this sadhana? Answer : All days are created by nature and you can start on any day. If you still feel that you want start on the best day then you can start this sadhana on Tuesday, Thursday & Saturday. Question 8 : How should i take baglamukhi diksha (Initiation)? Answer : You can take baglamukhi diksha from anyone who is eligible to give diksha. After receiving so many requests from the readers of this blog we are publishing all the mantras of ma baglamukhi including their viniyoga, Rishiyadi-Nyasa, Shadanga-Nyasa, Kara-Nyasa in Hindi and English. It will not only help english readers but also those readers who are not very good at sanskrit pronunciation. It took a lot of effort to publish such a document but it is my dedication to provide more and more information to the people who worship ma pitambara. I dedicate this work to ma pitambara’s lotus feet We will add more info in this document in near future. Please let us know if you find any mistake in english, hindi or sanskrit. Please visit this blog again and again for more and updated information. If you are unable to perform this puja yourself then we can arrange this puja for you.